San Diego DJ, Justin Kanoya, sets up in the lobby of The Rush Cycle spin studio, playing music in celebration of the studios one year anniverary. 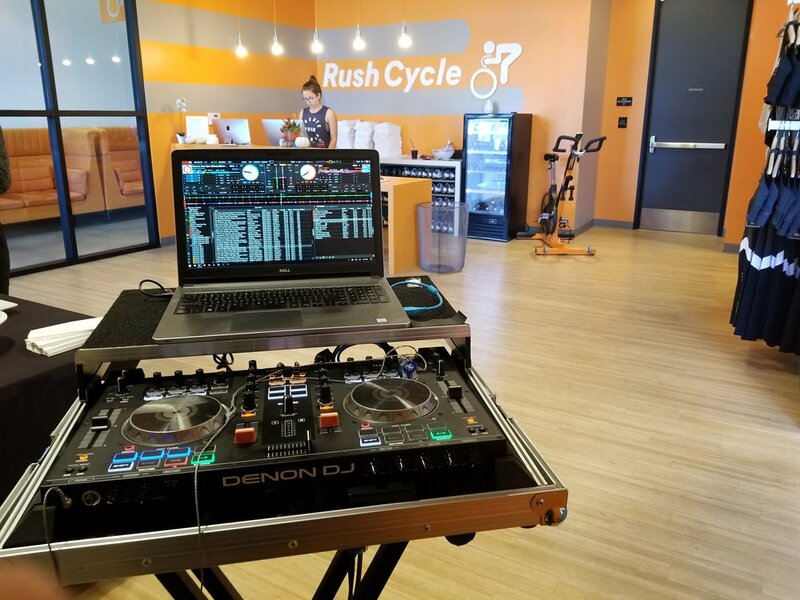 The Rush Cycle is a spin studio with four locations in San Diego. The Carmel Valley location, which moved into a new space one year ago, celebrated its one year anniversary of that move on October 21, 2017. To celebrate the occasion, local juice and health food vendors exhibited in the studio’s lobby, and I DJ’d throughout the morning for the students who were coming and going. Congrats on one year Rush Cycle! Here’s a look at the setlist.